Prime Minister Benjamin Netanyahu has announced an early general election in January, 2013. Most pundits agreed he would lead his Likud party’s campaign for reelection on the security ticket, namely the danger of a nuclear-armed Iran. Netanyahu explained his decision by his coalition partners’ refusal to make do with a “responsible budget” and said he would rather have his government fall than increase the deficit, especially when the country’s top priority was stopping Iran gaining a nuclear bomb. 1. Tehran can be safely guaranteed to place every possible obstruction in the prime minister’s path to an election win because his failure in the polls would not just suit Iran but be popular in the Arab world where he is portrayed as a fire-eating militarist although he has delayed attacking Iran for three and-a-half years. 2. 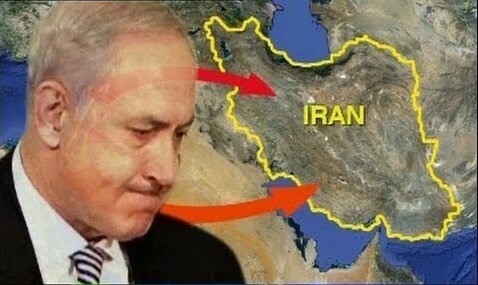 Tehran, helped by its proxies, the Lebanese Hizballah and the Palestinian Hamas and Jihad Islami, will dig up every possible stratagem to tarnish his performance, such as the unmanned helicopter flyover which Saturday, Oct. 6 showed Israeli air defenses in a poor light , and the salvo of 55 missiles and mortars from the Gaza Strip two days later. Until recently, it was generally believed that the Israeli government’s military decisions were motivated solely by considerations of national security without political undertones. But that was only so long as the prime minister and the defense minister were of one mind. However, the falling-out between them of late means that neither trusts the other’s decisions any longer. An election campaign in these circumstances could have disastrous fallout. 3. President Barack Obama’s campaign for reelection in less than a month will no doubt play into the Israeli election contest. The US president, who has accused Netanyahu of interfering in his race for a second term, will no doubt bring his weight to bear on the Israeli poll. Last-minute cancellation of joint exercises, for example, or other such steps could reflect negatively on Netanyahu’s prospects. Obama will be swayed most of all by his prospects against the Republican Mitt Romney. This consideration might persuade him to play the Iranian card and thereby indirectly affecting how the Israeli prime minister comes out of his election. In this respect, Obama has three options: a) To exercise the American military option and blowing away Iran’s nuclear program – with or without Israel. b) To meet Iran’s leaders halfway for a diplomatic breakthrough that would amaze the American voter and be inimical to Israel and set back Netanyahu's chances or reelection; or c) To do nothing. It is hard to say at this time whether or not Mitt Romney if elected would give Netanyahu a leg up before he takes the oath of office. The rumor mills in Jerusalem, Washington and Tehran are buzzing with speculation about what to expect in the days ahead. The new players in the Israeli ring, Labor’s leader Shelly Yacimovich who has never before faced a general election and Yair Lapid who has just founded “Yesh Atid” (There Is a Future) and whose platform is still an enigma, are unlikely to have cruckal effect on the eventual outcome of the high-stakes game of strategy in progress between Obama, Ayatollah Ali Khamenei, Hassan Nasrallah, and Binyamin Netanyahu.